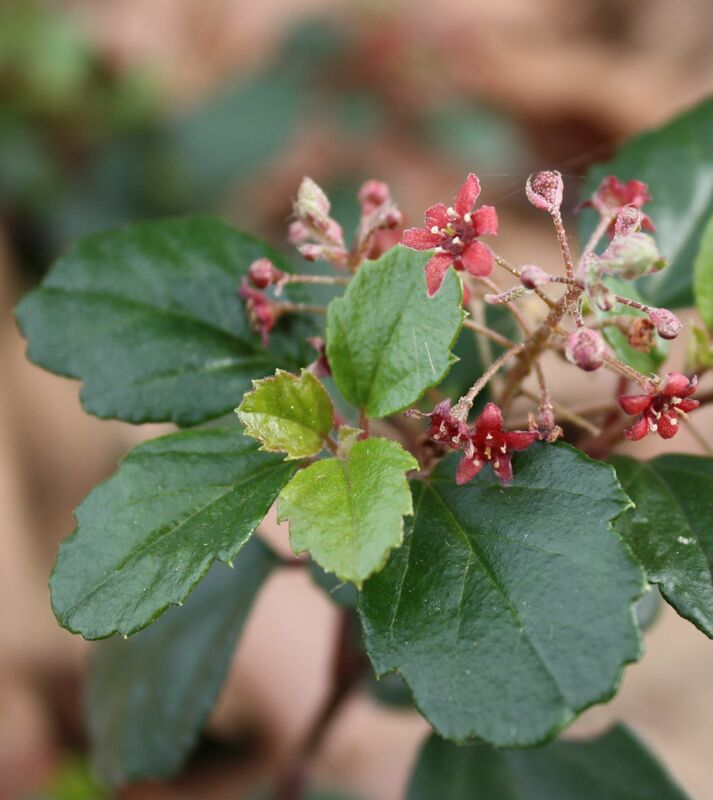 The main feature of Ribes viburnifolium, or Catalina Perfume, is the glossy evergreen leaves that thrive in shade, but in January we get the added bonus of intriguing burgundy-colored flowers. 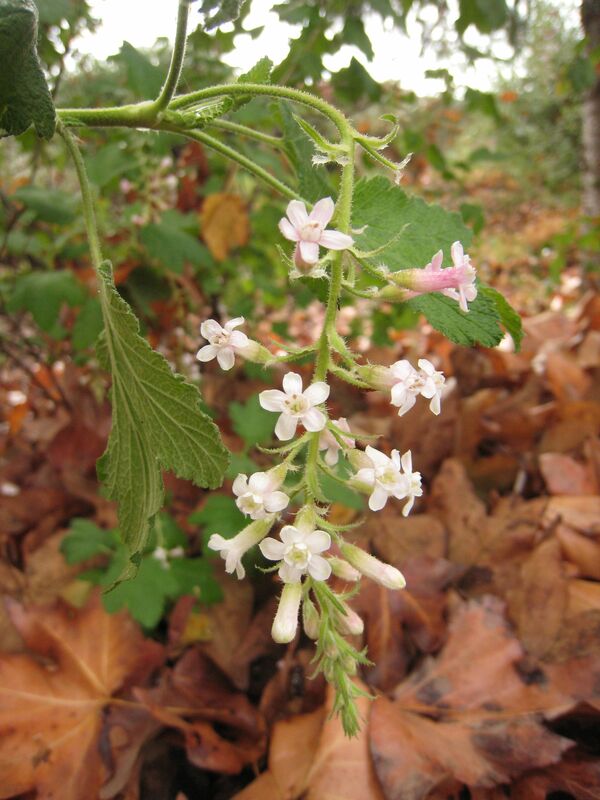 The thorny Ribes are called “Gooseberries” in common parlance, and you will not have a plant in your garden that is more attractive to hummingbirds than the Fuchsia-flowering gooseberry, Ribes speciosum, pictured below. More information about Ribes in this article: Currants and Gooseberries Native to California and this one and this one and….. oh, you can google the rest for yourself! 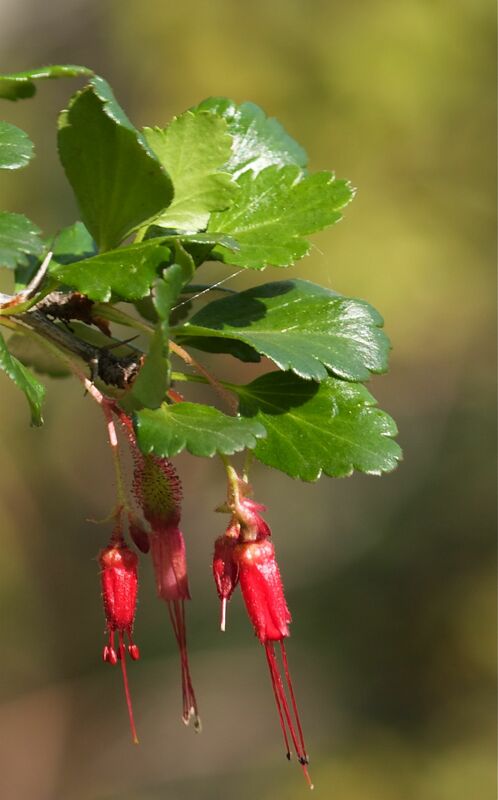 Is there a Ribes brightening your garden this month? This entry was posted in Gardening Tips, Seasonal Gardening and tagged Garden with Natives, habitat, Seasonal color, southern california. Bookmark the permalink.